Despite our nation’s strong economic growth, Australians have a lot of work to do to ensure they are well placed to weather life’s little and big financial shocks, writes microfinance expert at NAB, Elliot Anderson, who will co-host an upcoming Pro Bono Australia webinar. Opinion: Despite our nation’s strong economic growth, Australians have a lot of work to do to ensure they are well placed to weather life’s little and big financial shocks, writes microfinance expert at NAB, Elliot Anderson, who will co-host an upcoming Pro Bono Australia webinar. When I was a student, I remember struggling with what seemed like a never-ending tsunami of bills. My part-time job was not always enough to cover my costs and there were often times I worried about how to cover rent and keep a roof over my head. I remember one particularly difficult period when I was able to turn to my grandparents who helped me out of a tight spot. Being able to ask for help was a relief and I was fortunate to have their support. Many do not. 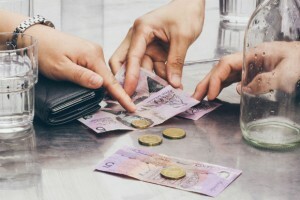 Research released Wednesday by the Centre for Social Impact (CSI) and commissioned by NAB, shows that right now around two million Australians are experiencing severe or high financial stress. This means that more than one in 10 Australians are likely to be facing financial issues such as problems paying debts and / or meeting cost of living expenses, limited access to or unmet demand for credit or insurance, limited financial knowledge and confidence and low levels of social support in times of crisis. The research also shows that 64.3 per cent of adult Australians face some level of financial stress or vulnerability, with only 35.7 per cent being financially secure. Despite our nation’s strong economic growth, Australians have a lot of work to do to ensure they are well placed to weather life’s little and big financial shocks. When events happen, such as an unexpected utility bill or a death in the family, they can put great strain on a person’s finances and significantly affect their ability to bounce back from hardship. Put simply, we need to improve our personal financial resilience. For example, 46.6 per cent of Australians report having limited to no savings, with almost 10 per cent have no savings at all. Financial Resilience Research, the first of its kind in the world, provides us with insights into how we can use design and deliver improved financial inclusion programs to support the urgent needs of the two million people currently experiencing severe and high financial stress and vulnerability today. In the past, financial health has been assessed on a person’s ability to access financial products. For five years, NAB has partnered with CSI to measure financial exclusion in Australia. While our research was highly regarded it had limitations in that it only measured access to products and services – not demand. This year we’ve adopted a new approach, focusing on the broader concept of financial resilience. Financial Resilience in Australia aims to deepen our understanding of the challenges in building financial resilience and how to measure it. We have developed a framework to explain the four factors that impact on an individual’s ability to cope with financial difficulty and their ability to bounce back. These are: economic resources, financial products and services, financial knowledge and behaviour, and social support or capital. This report is the first step for NAB exploring financial resilience and how we can contribute to Australians better understanding what they can do to become more financially resilient. A large part of being financially resilient is having access to appropriate financial services and having the right back up in place to help when financial shocks occur. At NAB we understand this. Helping our customers better prepare financially for life’s little and big surprises is an important part of what we do. We know that the role we can play in the lives of our customers is about more than money. For NAB, this research will help us better understand our customers and, in the near term, inform the development of programs aimed at financial inclusion of the most vulnerable in our community. We look forward to sharing and implementing this research for the benefit not only of our customers – but for others in our community as well. Pro Bono Australia’s upcoming free webinar on Wednesday 14 September 2016 will discuss the groundbreaking research by NAB and the Centre for Social Impact, and provide a deeper understanding of people’s financial situations. This webinar is best for those with some knowledge of financial resilience and are in senior management positions within their organisations. 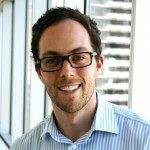 About the webinar presenters: Since 2008, Elliot Anderson has been working in Australia and the Pacific to influence the way financial inclusion is understood and addressed. As the head of Financial Inclusion at National Australia Bank (NAB) he leads the bank’s microfinance programs, research and impact measurement in financial resilience and the Indigenous inclusion initiatives with a range of community and government partners. Professor Kristy Muir is the research director at the Centre for Social Impact at UNSW Australia, a professor of social policy and an elected academic member of UNSW’s Council. Muir leads academic and applied research projects that help understand, measure and find innovative solutions to complex social problems in Australia. She is a member of the NSW Premier’s Council on Homelessness, Opportunity Child and the Financial Inclusion Action Plan leadership groups.